Attracting links is something that every website owner and blogger knows is critical, but most of us don’t really enjoy many of the tasks that are commonly associated with link building. There are a lot of different approaches to link building, so you just need to find some methods that work well for you and your site/blog. In this article we’ll take a detailed look at the topic, and you’ll find 101 different ways that you can go about attracting links from other sites and blogs. Inbound links are often prioritized for SEO purposes, but there is much more value to links that just improving your search engine rankings. Effective links can send a steady flow of referral traffic to you from click throughs, which can be especially valuable for new sites that don’t have much established traffic yet. Yes, even nofollow links can have value. The different strategies and approaches covered in this article are categorized for convenience. Read through them and find a few options that you’d like to pursue with your own website or blog. This is a massive post, so you may want to bookmark it for future reference. You can jump to any of the sections in this article using the links below. The first two things that we’ll cover are extremely important for the long-term success of your blog, including your link building efforts. People tend to link to the sites that they recognize as being authorities on particular subjects. You may have content at your blog that is just as good or better than the similar content at a blog that is a recognized authority in your niche or industry, but that content from the recognized blog is usually going to attract more links. If you can build a strong reputation within your industry, getting links becomes so much easier. Although it will take time for you to see the results, make it a priority to focus on the quality of your content and your site, and the long-term result will be more links, more traffic, and more revenue. Blogging success really comes down to two things: 1) your content, and 2) your connections. In fact, your connections in many ways are even more important than your content. When it comes to getting links, people tend to link to bloggers that they know and like. Building your network of bloggers and social media users is one of the most important things you can do for the long-term success of your blog. Make a consistent effort to get to know influential people in your niche, and focus on the quality of those relationships more than the quantity. For an excellent guide on making strong connections, see Blogger Outreach: How to Get Influencers to Promote Your Content for Free. In order to attract links you’ll need to have content on your site or blog that other people want to share with their visitors. With the right content getting links becomes much easier. Here are some ways you can use content to encourage others to link to you. Long form or epic content is all the rage right now. And with good reason, it works when it is done properly. You may have seen really detailed guides at Quicksprout like The Advanced Guide to SEO. Another example of epic content is this post at Niche Hacks: 34 Ways to Increase Your Blog’s Email Subscribers List: Number 32 is SUPER Important. There are a lot of blogs that are using this type of content very effectively, and one of the reasons is because other websites and blogs love to link to this type of content. Once you’ve created your epic content you can reach out to other bloggers and websites in your industry and suggest that they share it with their readers by linking to you. Later in this post we’ll cover several different ways to find linking opportunities, and you can use those tips in combination with your epic content to attract loads of links. For more on epic content please see Guide to Epic Blog Content. Step-by-step tutorials and detailed how-to guides are also excellent for attracting links. This type of blog post can be used in just about any niche to cover a wide variety of topics, and readers love blog posts that teach them how to do something new and useful. Other bloggers also tend to link to these types of posts, so it is a great approach. Interviews are not only appreciated by many blog readers, but they also tend to be great for attracting links and social media shares. The key is to find the right people to interview, and of course, to ask good questions. Getting an interview with an industry expert may not be as difficult as you might imagine. Everyone is flattered when they are asked to do an interview, and most people will agree to it if they are able. Sure, some people will simply be too busy, but even the most well-known industry leaders are often open to doing an interview. You’ll never know unless you reach out and ask. In just about any industry or niche there will be blogs that publish roundup posts that link to the best content on a particular topic during the week or month. This can be a great opportunity for you if you have been publishing really high-quality content. If you’re following the previous points by publishing epic content, detailed tutorials, or interviewing experts, these roundup posts present ideal opportunities for links. You can contact the blog owner and ask him/her to consider sharing a link to a specific post on your blog. If you’re already aware of some relevant blogs that publish these types of roundups that is a great place to start. If you want to find some other blogs with these types of posts you can use a Google search query like the ones below to help (the search queries are from Matthew Barby and Find My Blog Way). One method for creating top-notch content is to find what has been working at other blogs in your niche, and then create content on a similar topic, but do a better job. For a detailed guide to this approach please see How to Steal Your Competitors’ Best Content and Use it Against Them by Dave Schneider. The last couple of months there has been plenty of talk about guest posting following Matt Cutts’ statement about the death of guest posting. The reality is, mass guest posting for SEO is dead, but at the right scale, guest posting can still be extremely effective. Guest posting is about a lot more than just SEO. The click through traffic from a post on a blog with decent traffic can lead to a lot of subscribers for your own blog or list, and guest blogging is also a great way to build strong connections with other bloggers in your niche. The typical approach with guest posting is to use an author bio with a link to your website or blog in order to funnel traffic back to your site. Most bloggers who try to include links to their site within the article body will use keyword stuffed links that look unnatural and will typically not be approved by the host blogger. However, there are better approaches that can allow you to get a link within the article body of a guest post, and those links often send far more traffic than links in author bios. The first approach is to create a guest post specifically with the goal of including a link to a certain article or post on your site. Since you know what content you want to link to, you can decide on a post topic that will allow you to naturally link to that post, and it will be much more likely to be approved since it is natural. For example, if I wanted to get a link to my blog post 7 Awesome Google Search Queries for Link Building Opportunities I could write a blog post that was a list of SEO tips. Maybe the post would have 10 different tips for optimizing a site for search engine. One of those tips would be to use Google search queries to quickly find link building opportunities. In the guest post I might cover one example of a possible search query, and then I would link to my article as a reference for readers who wanted to see more detail on that subject. Now, to make this situation natural I would also do the same thing with some of the other tips in the guest post, but I would like out to articles at other blogs (not my own) where readers could get more information. Since several of the tips will link out to other sources/references it is pretty natural. Another approach is to start with your guest post, and then look for opportunities to create content for your own blog that would allow you to link to yourself in a natural way. Think about the places in the guest post where you would link out to other pages as references for more information, and then create that content on your own site and link to it.You’ll also want to include links to other relevant sources aside from your own site so it doesn’t seem forced. Writing posts for other blogs isn’t the only way to use guest blogging for your advantage. You can invite others, especially those who have a strong reputation in your industry, to write a post for your blog. Other people will be more likely to link to this content since it comes from an authority. Also, many bloggers will often link to the guest posts they have written, so you may get a natural link from an authority blog down the road when they reference the post that they wrote for your blog. Now, it’s not always easy to get well-known bloggers to write for you. If you have an established blog it will be more likely, but if you have a newer blog you will likely need to give them some incentive to take the time to write for your blog. That incentive could be money, or anything else of value that you could offer them. For example, if you are good with graphics you could offer to create images for the posts on their blog that will stand out at social media sites. Your success rate of getting authority bloggers to write for you may be pretty low, but if you’re proactive and you reach out to several different bloggers and give them some incentive you may have success. If your blog has been around for a while it no doubt has some outdated content that could use some attention. Start by finding the content on your site that is old but still attracts traffic, or maybe was shared a lot on social media sites when it was first published. Update the content to make it relevant again, and work to make it even better than it was the first time. You can change the date of the post to the current date if you want to move it to your blog’s front page to get some more attention, and of course share it through your social media profiles. Posts that attracted traffic and links when it was new will be likely to do the same thing for you again if you update and improve it. Things like games, surveys, quizzes, and anything interactive can be great for attracting links. If you have an idea for interactive content you can hire a developer at a site like Elance or oDesk to create it for you. This approach isn’t used all that often, but it can be really effective. The idea is to find an article at a popular blog in your industry or niche that is either opinion based or in some way lends itself to a response. You can then write a follow up post with your own thoughts on the matter, publish it at your blog, and contact the other blogger to let them know about your post. Your follow up post could contradict their opinions (as long as you have some solid reasons and can back it up), or you can build on the points of their article and share your own thoughts. If you let them know about your follow up post they may update their original post and include a link to you. Using this approach several years ago I got a link from the number one authority blog in my industry, and my blog was small and relatively unknown at the time. Another option for detailed content that readers will love is case studies. Quality case studies that reveal a lot of useful information also tend to attract links. You can use case studies in just about any industry, you just need to have the experience that you can write about. SlideShare is a massively popular site, and many bloggers are able to use it to gain traffic and links. You can create presentations with information from your blog posts, or create presentations specifically for the purpose of sharing at SlideShare. For more see How to Use SlideShare for SEO, Branding, Content Marketing, and Link Building. People love to link to resources that list the top people, brands, products, tools, websites, etc. in a niche. You can create your own top list and use it to attract links to your own site. For example, OnStartups.com has created this list of top blogs on startups. This idea could be duplicated for just about any industry or niche. By having your posts translated you can not only reach an entirely new audience, but you can also get a link back to your original article as the source. If you run a popular blog you’re probably contacted ocassionally by people who are looking for permission to translate and re-publish your content. If that’s not the case you’ll need to find some opportunities on your own. Matthew Barby of FindMyBlogWay recommends (in this article) that you find a writer first rather than trying to identify the blog. If you find a writer who can translate the content for you, he or she will probably have their own blog or others where they can publish your article. You can see Matthew’s video on how to find a writer with the help of FollowerWonk. Want more tips and guides that can help you to make money online? Subscribe to be updated when new articles are published. Egobait is when you create content that strokes the ego of someone, or a group of people, and encourages them to share it via social media or link to it from their own website or blog. There are several different ways that you can use egobait, and you can also see A Guide to Producing Effective Egobait for more information. Everyone loves to be recognized by others as one of the best at whatever it is that they do. You can use this to your advantage and create some great content for your blog at the same time. For example, if you have a blog in the travel industry you could create a list of the top 25 travel bloggers to follow. After publishing it you would reach out to each person that you featured in the list and suggest that they share the post via social media or by linking from their blog. You can do this in any industry, and it doesn’t have to simply be a list of bloggers. Another example is this post of 100+ Landscape Followers You Should Follow. I don’t know if this blogger reached out to the photographers mentioned in the post, but chances are many of them would share it. While creating a list of experts or top bloggers in a particular niche can be a great way to attract shares and links, sometimes getting links or shares from experts is a little more difficult. The people on your top 25 travel bloggers list are probably really busy, and most likely they’ve been included in similar lists before. Even so, many of them will probably share the link via social media, but you can get an even better response rate from people who aren’t yet widely recognized. You could create a list of up-and-comers that may be more excited to be included on our list because they haven’t received very much publicity yet. So sticking with the travel theme, you could create a list of 25 up-and-coming travel bloggers to watch, and then contact each one to let them know about your post. These people will not have as large of a following as the leaders or experts in the niche, but they’re usually a little more likely to share it or link from their own blog. If you want to maximize the impact of these egobait lists, you can offer a badge that others can use on their site to show off. If you have some graphic design skills you can create a badge on your own. Otherwise, you can buy a Photoshop template like these that you can edit to suit your needs, or hire someone on Fiverr to create one for you very inexpensively. When you email people to let them know that they have been featured on your list you can send them the badge graphic that they can add to your site, and ask them to link it to your blog post. Group interviews are extremely popular right now. The ideas is to pick out a large number of industry experts and ask them a few questions. One of the reasons this is so popular is that many of these experts will share the interview through their own social profiles once it has been published, and this can lead to a nice flow of traffic. Some of them may also link to the interview from their own blogs, and other websites and blogs tend to link to these expert group interviews. This approach is very similar to the previous point about expert interviews, except that instead of interviewing them you will be gathering tips from the blogs of different experts. Once the post is published you can email each person included and hopefully they will share your link. This idea is one I picked up from an article by Jon Ball published at Search Engine Journal: How to Find Powerful EDU Backlinks. The idea is simply to use egobait to get a link from a college or university that wants to show off the publicity that they have received by your interview. When the focus is on attracting links to your own website or blog it’s easy to overlook the ways that linking out to others can ultimately lead to more links to your own site. Every blogger loves getting links. In fact, many bloggers not only notice who is linking to them, but they are also likely to return the favor. If you look for ways to help other by linking to them, some of them will look for ways to include a link to you from their blog as well. Take some time and create a weekly or monthly post that links to the best articles and most interesting content from that week or month. Find some bloggers that you would like to add to your network and include a link to one of their posts. When you publish the post email them to let them know about the link and thank them for publishing great content. This can be a helpful way to start to build some connections with other bloggers, and you may find that the karma from linking out to others winds up resulting in people linking back to you. You don’t have to create roundup posts in order to link out to others. Whenever it is relevant, include a link to another blogger within your post content. As an example, this post has already included several links to other blogs as references or sources for the various points. Don’t be stingy with linking out, and even go out of your way to find opportunities to link to other bloggers that you would to get to know. That link can be a great reason for you to contact them. While attracting links from other websites and blogs is important, you can also use internal links from your own site to help your cause. This tip comes from Brian Dean of Backlinko in this article. The idea is to use Google Webmaster Tools to find pages that are ranking on the 2nd or 3rd page. To do this you can go to “Search Traffic” and then “Search Queries” and look for keywords with an average position of 11 – 30. Next, you want to identify authoritative pages on your site. You can do this by entering your homepage in Open Site Explorer and then after it runs click on “top pages”. Then you want to add links from your authoritative pages to the page that you want to rank higher. This may be enough to move your page from the 2nd or 3rd page of the SERPs to the 1st page. Most blogs have an archive full of posts that are being under utilized. One way that you can get more out of your archives is to go back and add more internal links to your other blog posts. This can be especially useful if you add links from the most authoritative posts from your archives, or from posts that receive the most on-going traffic. These links may help to keep visitors on your site longer and to get them to visit more pages. Another way to use your archives is to find several articles on related topics and create a series out of them by interlinking them. Depending on the content of the posts and the series that you want to create, you may not need to edit the content of the posts at all (or you may prefer to update them a little). You can add an intro to mention that the post is a part of a series, and link to the other posts in the series. You can also include the links at the end of the post so readers can check them out once they are finished with the current article. You may even want to go a step further and promote the series. You could do so by linking to it from your social media profiles, by creating a banner or graphic and linking to the series from your sidebar, or by contacting other bloggers and site owners who might be interested in linking to your series. There are some great ways that you can put your experience and expertise to work in order to attract some new links. Sites like Help a Reporter Out (HARO) and ResponseSource offer the opportunity to match you up with reporters who are looking for sources of information. If you spend some time answering questions or responding to requests you may be able to earn some valuable links to your site as a result. I mentioned earlier that publishing interviews at your blog can be a great way to attract links, but you can also use your own expertise by being interviewed to be published at other websites and blogs. Any time your interview is published it should give you a link to your website or blog. If you are well-known in your industry the interview opportunities will probably find you, but if you are just getting started you will likely need to be proactive in order to land an interview. If you want to find interview opportunities one of the best ways is to find blogs that have interviewed others in your industry. You can start by searching for interviews with someone specific in your industry, or you can use a search query to find interviews by a keyword. Once you’ve found some blogs that have interviewed others in your industry, contact them to see if they would be interested in interviewing you. You’ll need to sell yourself a little by giving a brief description of your experience/expertise and how their readers could benefit from the interview. If you coin a phrase that becomes popular it could lead to a lot of links coming your way. The first example that comes to my mind is Responsive Web Design, which was coined by Ethan Marcotte. In this case the phrase was first used in this article at A List Apart, so many of the links crediting Ethan are pointing to the article rather than to his own site. Responsive Web Design even has a Wikipedia page, and the first link in the references is to Ethan’s article. Almost every website that has been around for a while will include broken links. Whenever a website or blog is taken down, any link that was pointing to a page on that site will be a dead link. Dead links can also be a result of a change in URL structure if re-directs are not set up. These dead links present awesome opportunities for getting links to your own content. The basic premise behind link building with broken links is to find the dead links and contact the site own to let them know about it, and suggest that they link to a similar page on your site instead. So if you run a food blog and you have a recipe for apple pie on your site, you could find pages that have dead links pointing to an apple pie recipe and contact them to see if they would be interested in updating the link to point to your site. Since there are so many dead links out there, this approach presents plenty of opportunities. And these links can be very high-quality links that will send traffic and SEO value. For a detailed guide on how to do this please refer to The Broken Link Building Bible. In this article at Backlinko Brian Dean makes a great recommendation to find dead links on Wikipedia. Why? Because pages that are referenced at Wikipedia are also likely to have links coming from many other sites as well. So if you have a similar page you can very quickly find a number of sites pointing to the same dead link, and you may be able to get multiple links to your site very quickly. When Wikipedia editors find a dead link they label it “dead link” rather than deleting it immediately. So Brian recommends using the simple search query below to find relevant pages with dead links. Once you’ve found the dead link you can enter it into a tool link Ahrefs to see what other pages are linking to it. Now you’ll quickly have a list of sites to contact about a broken link. You can also use this page at Wikipedia that lists the articles that include dead links. One under used technique is to offer to update old content for bloggers. A few months ago I wanted to use the dead links approach to get some new links to one of my sites. I did a little research and quickly found some posts on quality blogs with relevant dead links. Rather than contacting them to ask for a link to my site as a replacement for the dead link, I took their existing post and updated it to remove the dead links and include a link to my own content. Then I emailed the updated post to them in HTML format and offered it to them as an easy way to update the old post and get rid of the dead links. I didn’t do this with a lot of different sites, but I did have pretty good success with the ones that I approached. In fact, the one post sends a steady flow of traffic every single day. The bloggers I approached liked this because I made it easy for them. The Outdated Content Finder from Greenlane can be an excellent resource for finding some relevant pages that could use a little attention. Sometimes the best way to find link building opportunities is to see who is linking to your competitors. If you find pages or blog posts that are linking to your competitors you should be able to find some opportunities for links of your own. Depending on the nature of the page and the link you may be able to submit your own site, or you may be able to contact the site owner to see if they would consider linking to you as well. You can use tools like Moz’s competitive link finder, Majestic SEO, or Ahrefs to find these opportunities. RankCracker is free software that can be pretty helpful for finding out how you can replicate many of your competitors links. It shows you what automated tools and services you can use to get the same links to your own site. You can use a tool like Mention or Google Alerts to monitor mentions of your competitors. When you find other sites and blogs talking about your competitors you may find some opportunities to reach out to them and let them know about your site/products. A lot of link building approaches require you to be proactive and to contact bloggers and site owners. Here are a few ways. The idea here is to identify the sites that are sending the most traffic to you, and see if you can get other links from the same sites. Check your leading referral sources in Google Analytics and you’ll see the sites that send the most traffic to you. Although you obviously already have a link from these sites, getting even more links may result in a higher amount of referral traffic. If the site that is sending traffic is a blog you could offer to write a guest post, or maybe look for some posts in the archives that you could update in exchange for a link to your site. In the previous section I mentioned the possibility of monitoring mentions of your competitors, but you can also do the same thing with your own site/brand. The idea here is to identify when people are talking about you but not including a link to your site. If your site is new people may not be talking about you yet, but as your site and your brand becomes more established it will happen. And when you find people who are talking about you but not linking, you can contact them and politely request that they include a link to your site. You can use Mention or Google Alerts. If you have a great blog or some valuable content on your site, you may be able to find some great link opportunities by tracking down some “best of” pages. Earlier I mentioned how you can use this type of content on your blog as egobait, but you can also benefit by getting yourself listed on some of these pages. So if you have a great travel blog you could find some posts/pages that list the best travel blogs and request that they consider adding you to the list. You can also do the same thing for specific types of content at your site, as well as tools or resources. For example, after publishing this article I could look for pages/posts that are lists of articles on link building and I could contact the site owner to request that this article be added to the list. The key is to have some sort of highly valuable content or resource at your site. You can find opportunities by using Google search queries like the one listed below. Audio and videos are not only great for your visitors, but they also open up some new opportunities for links. Sites like SoundCloud, Bandcamp, and Audiofarm allow you to create a profile and upload audio files and music. Most audio sharing sites allow you to include a link to your own site in your profile. This may not work for every blogger or site owner, but it does present an opportunity for some. If your blog has a podcast there are several places where you can get it listed and get a link. Here is a helpful (and huge) list of podcast directories. Video sharing sites also provide some great opportunities for links. Sites like YouTube and Vimeo are the most popular, but there are many more. Please refer to this list. Another option is to use OneLoad‘s video distribution service to avoid manual submissions. Popular videos from YouTube get embedded on a lot of different websites and blogs. While this is great for increasing exposure to your videos, the links are pointing back to YouTube instead of to your own site. An alternative option is to host your own videos and offer embed code that will link back to your site. This article at Distilled will walk you through the process. Infographics have been a popular link building approach for a few years now. In addition, you can also use regular images and photos to get some links. If you have a quality infographic you can get some links by submitting it to infographic directories. There are many directories that exist specifically for infographics. 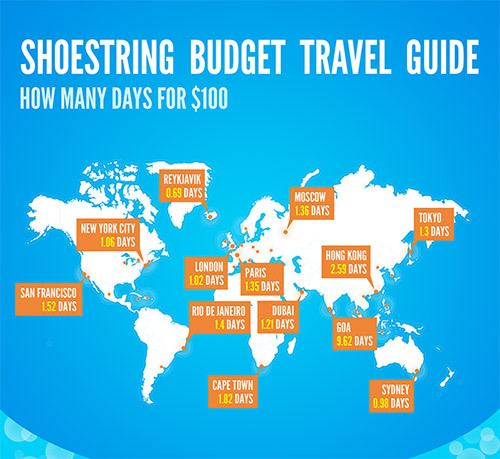 Some examples are Visual.ly, Amazing Infographics, and Daily Infographic. You can see much bigger list at this page from Paddy Moogan. If you offer an infographic from your site, make it easy for other bloggers and site owners to use it by provided the embed code. The embed code should include a link to your site, and you’ll be making it easy for people to link to you. If you’re approaching other bloggers to see if they would be interested in publishing your infographic you may find that you’ll get a better response rate when you also offer to include a unique guest post or intro text that they can use when publishing the infographic. The easier you can make it for them the more likely you are to get it published. When you’re reaching out to blogs about publishing your infographic it can be helpful to target blogs that have published other infographics in the past. If they’ve published other infographics they may also be interested in yours. The first step is to find a popular infographic in your industry, and then copy the image URL from the embed code to see what other blogs have published it. For example, the infographic below (only the top part is shown) is from Tripomatic. At the infographic’s page on their site I copied the URL that they provide for the image. Then I entered that URL into Ahrefs and found 16 pages that are linking to it. Among these 16 are some blogs that I would contact if I had an infographic on a related topic. If you publish your own photos or custom images at your site you may be able to find some link opportunities by seeing who is using your photos and images. If other sites and blogs are using your images without crediting/linking to you, you can contact them and ask that they credit you with a link. To do this, just go to Google Images and click on the little camera icon. 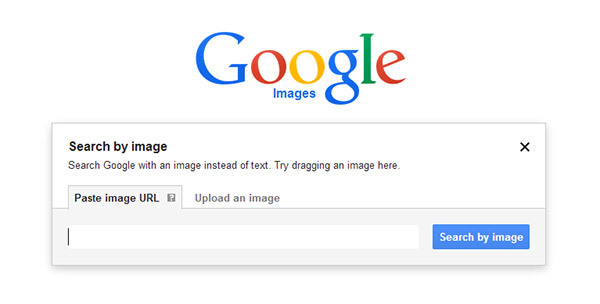 You can then enter the URL of your image or upload it and it will look for sites that are using the image or photo. You can then check to make sure that these pages are linking to you, and if they are not, contact them to ask for a link. Allowing other websites and blogs to use your images can be another way to use images for link building. This technique is explained in this post by Matthew Barby. Matthew suggests contacting bloggers to offer the use of your images and ask that they include a credit link to you when the images are used. For blog topics that are highly visual (like food, fashion, and travel) this can be an excellent approach. There are tons of sites where you can upload your own photos and images. In many cases you can add links back to your own site. There is a big list of image sharing sites in this post at Kaiser the Sage. If you want to make it easy for other websites and blogs to use your images or photos, you can provide embed code, with a link to your site of course, just like you would with an infographic. Cinemagraphs are kind of a modern animated GIF, and people love to share them. The cinemagraph will have a subtle, repeated movement, like the one below by Heather Yates. 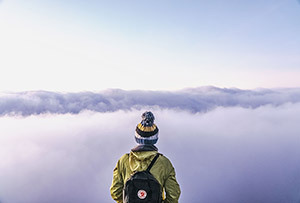 If you’re looking for a way to create images that will be shared an attract some links, cinemagraphs are a possibility. You can either hire someone at a site like Elance to create one for you, or follow this tutorial by Chris Spooner. Many blog networks have been penalized over the last few years by Google, so proceed with caution. That being said, some people are able to use them very effectively in the right situation. First, I should say that I don’t personally recommend buying links. It’s a risky approach due to Google’s hatred for paid links, but it does work very well for some people. There have been a number of private blog networks that sold links, although most have been penalized by Google and rendered useless, if not harmful. RankHero is one that I’ve heard good things about, but I have never personally used it, nor do I plan to. Another approach is to build your own private blog network. This will definitely take some time, but it can be extremely effective, especially if you’re in a less competitive niche where a few quality links can make a big difference. Since you own the blog network you have full control over the links. See this guide from Lewis Ogden about building your own blog network. One of the best ways to build your own blog network is to buy expired domains that already have some inbound links and PageRank. This allows you to make the blogs in your network more useful quickly. For full step-by-step details please see the Ultimate Expired Domain Guide by Jon Haver. Providing testimonials for other companies and websites can be a great way to get some quality links to you since many sites will include a URL to your site along with your testimonial. Think about the products and services that you already use on a regular basis, especially those that are relevant to the topic or niche of your blog. Check the website of these companies/products and see if they have customer testimonials on their site. If they do, see if any of them include a link to the site of the person providing the testimonial. You can reach out to them with a testimonial that they can use, and also provide them with your URL. Testimonials and endorsements aren’t only used by companies that are selling products. You could also offer a testimonial for other blogs in your niche that they can display on their site. You can also do a Google search to find other testimonial pages in your industry. If you see a good one that includes links to the sites of people providing testimonials you could consider purchasing the product or service in order to try it for yourself. If you like it you could offer the testimonial. Social media presents an enormous opportunity for reaching a larger audience. Many of the links that you’ll get directly from social media sites will be nofollow, but that doesn’t mean that they are useless. They can still send visitors to your site, and exposure through social media can also lead to more links from other sites. The major social networks like Twitter, Facebook, Google+, LinkedIn, and Pinterest provide you with the opportunity to reach a massive audience. My recommendation is to find the social network that is most popular with your target audience and place most of your time and emphasis there. You can have profiles at the other sites, but dedicate the most time to the sites that have the most potential for you. Most industries and niches have their own social networks. These sites may not have millions of users and won’t provide the same traffic potential, but they are excellent for getting targeted traffic and for networking with others in the industry. For example, in the internet marketing world there are sites like Inbound.org, BizSugar, Kingged, Blokube, Klinkk, and DoSplash. Take advantage of whatever social networks exist in your niche. Most social networks will allow you to add a link to your own site. While these links may not be the most valuable links in the world, they are pretty easy to get. 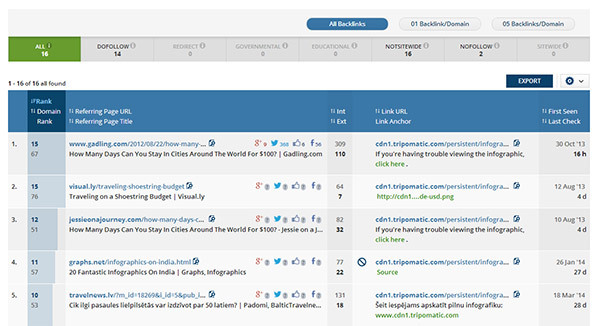 See the Top 15 dofollow profile links that will increase your visibility. You can get a dofollow link from the “introduction” section of your Google+ profile. When you’re editing your profile with the WYSIWYG editor just enter a link to your site. There are a number of sites that allow you to create an account and curate content from various websites and blogs, Scoop.it is the most popular, but other options like Paper.li, Sulia and Storify exist as well. You can obviously create an account and link to your own content, but Scoop.it has a feature that adds a lot of potential. Scoop.it has a suggestion feature that you can use to suggest your content to other users, which can drastically increase links and exposure. When you’re logged in to your account and you’re on another user’s page you’ll see a “suggest” button at the top right of the screen. Here you can suggest your link to the other user. Thanks to Brian Dean for pointing this out in this post. 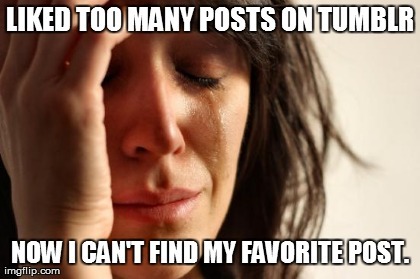 Tumblr is a massively popular platform that can prove to be an under-appreciated source of potential links. For a guide on how to use Tumblr for link building, please see How to Turn Tumblr into a Powerful Link Building Machine by Henry Croft. The process is pretty straightforward. Basically, you launch your own Tumblr blog, follow A LOT of users who have liked or reblogged posts in the same niche (hoping that many will follow you back), then when you have a large following post your links. Henry recommends using an attention grabbing image, a punchy text snippet, and a link to your original content. Some of your followers will reblog it and you’ll get links from each of them. If you sell a product at your website you can work to get reviews at other websites and blogs to build links, and you can offer giveaways as well. If you don’t sell products you may be able to get reviews of your site . You can reach out to bloggers in your niche to see if they would be interested in reviewing your product on your blog. In some cases you may need to pay for the review, and in other cases the blogger may be willing to write a review in exchange for a free copy of your product. Keep in mind, that there is no guarantee that the review will be positive, but if you’re confident in your product it can provide some great exposure. If you’re having a hard time finding blogs to review your product, look for reviews of your competitors. The same bloggers that published reviews to your competitors may be interested in reviewing your product as well. 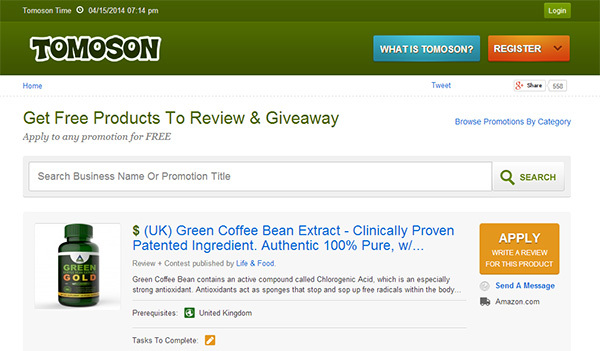 Tomoson is a site that connects bloggers and businesses. You can use it to find bloggers who are interested in reviewing your product in exchange for the free product. You can also offer free copies of your product to bloggers who are willing to host a giveaway for their readers. Giveways can be pretty effective because readers tend to pay more attention to them than a giveaway because they could get something for free. Many bloggers like hosting giveaways because they like to be able to give something of value to a few of their readers. Just like with reviews, in some cases you may need to pay in order to get a blogger to host your giveaway. Having giveaways hosted on other blogs and sites isn’t your only option. You can also host the giveaway or contest on your own site and use it to attract links from other sites and social media shares. The bigger your contest or giveaway the more likely you will be to get some links to it. You can also host the contest or giveaway at a social media site. Before doing this, be sure that you check the terms of the social media site to make sure you don’t do anything that would be a violation. Even though the contest would be hosted at a social media site it still could generate click through traffic to your own site, providing you with exposure to new visitors. 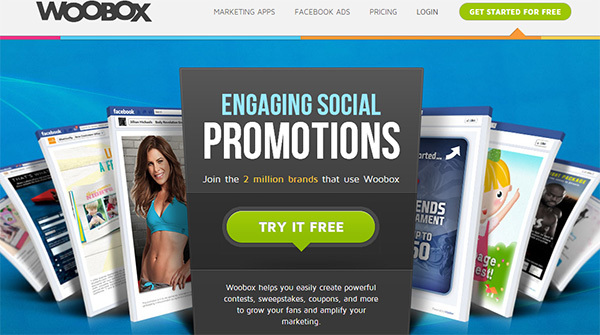 There are a lot of apps that can help you to run a social contest/giveaway including: Rafflecopter, Woobox, Wishpond, Offerpop. If you’re hiring someone you can use this situation to get a few links, although some of them may be temporary. There are tons of sites where you can post a job listing, and in most cases you can also link back to your website. Aside from the major job sites that will cost at least a few hundred dollars for a listing, you could use industry or niche specific job boards (some are free) and local job boards.You can also look for forums that allow you to post job listings. Some universities and departments within universities include job listings for internships or for entry level jobs for graduates. If you are looking to hire an intern or a college grad you can search for some opportunities to get your job listed, along with a link to your site. If you’re looking to reach the right person you can start by looking for a career center or career services department of the university, or reach out to a specific department, like a business department. Some universities will have an alumni area on the website where you can create a profile, which may include a link to your site. Other universities publish profiles or bios of some alumni to show what they are doing with their career, to show off the success of their alumni. You could look for these types of opportunities for yourself, as well as for any employees or partners that you may have. Sponsoring or donating money can sometimes lead to a link to your site, and you can help some great causes while you’re at it. Non-profits and charities are always looking for money, and in many cases they are happy to recognize donors and sponsors. Some organizations will list you and a link to your website if you make a donation. To find these opportunities you can use search queries like the ones below. These search queries are from this article by Brian Dean of Backlinko. If you have some money in the budget you can offer a scholarship in exchange for some exposure. Create a page on your site about the scholarship and then reach out to colleges and universities to let them know about the scholarship and ask for a link from their website. Nick Bernard suggests in this article that you search for “outside” or “external” to find pages that list scholarships not related to their specific college or university. You could also look for similar pages on high school websites. If your scholarship is significant it could also create some buzz and lead to a lot of sharing and links. In just about any industry there are events that you could sponsor. Many event and conference websites link out to their sponsors. There are some websites that allow you to get feedback, as well as a link to your site. Sites like Concept Feedback and Criticue exist for the purpose of helping website owners and designers to get feedback on their sites. You can add your own site, with a link, and get feedback from other users. Before you can post a project you’ll need to provide some feedback for other users. 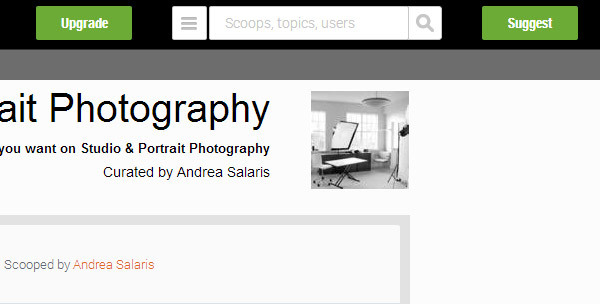 Similarly, there are also sites like Focussion where you can get feedback for photos. When you submit a photo you can create a link in the description, like this one. This may not be the best fit for every website, but it can be an option for some types of sites. The purpose of gallery sites is to provide inspiration and to show off great design. You’ll need to have a quality design in order to get a link from most gallery sites, but if you do, it can be an easy way to get some links. Sites like CSS Mania, Best Web Gallery, and SiteInspire showcase beautiful websites, and of course, they link to the sites that are showcased. If you have a high-quality custom design you can submit your site to a number of galleries. Sites that are showcased in multiple popular galleries also tend to be included in posts on a lot of design blogs. If you use a free template or a premium theme that has not been significantly customized, don’t bother submitting your site because it won’t be published. If you have a great website that you want to submit to lots of design galleries but you don’t want to take hours to do all of the submissions, you can hire someone else to do it for you. Sites like CSS Gallery List, Gallery Rush, and MeeCSS will submit your site to a number of galleries for a fee. If you have a quality logo design you can also submit it to logo gallery sites. There are lots of logo galleries, but most of them only link to the designer and not to the company owning the logo. If you’re a designer this could be a good opportunity, but otherwise it won’t help you. But Logo of the Day is one logo gallery that does link to the company. If you have a creative business card, or just a really well-designed business card, you can also get links from a number of business card gallery sites. Most of them will also link to your site. The most popular ones are CardObserver, Cardonizer, Cardview, and Creattica. There are a number of popular sites that allow designers, artists, and photographers to set up portfolios. With some of them you can link to your site from each item that you upload, and with others you can link to your site from your profile. If you’re not a designer, artist, or photographer you may still be able to find some opportunities here with some creativity. If you sell physical products you could have a professional take your product photos and upload them. You could also hire a designer to create some custom graphics for your site, or for your digital products (like an e-book cover) and submit those items. Popular sites of this kind include Behance, deviantART, and Coroflot (there are plenty of others as well). While these types of sites may not provide you with the most valuable links for SEO purposes, with the right approach you can drive some valuable click through traffic. Get involved at some popular forums in your niche, and include a link to your site when relevant. Make sure that you genuinely participate with the community and don’t drop a link every time you post something, but when a link to your site can provide further information related to the question and your answer it can be a good opportunity. This approach can be especially effective when you have some great, informative content on your site that will answer a lot of people’s questions. For example, here at ProfitBlitz I have the Guide to Profitable Blogging, which is a really detailed guide about how to build a successful blog and make money from it. I could spend some time on blogging-related forums and answer other people’s questions about blogging, and when appropriate I could include a link to one of the pages in the Guide to Profitable Blogging for more information. If you want to get links from forums, aside from in your signature, start by creating a piece of content that will answer a lot of common questions. Another approach is to search forums to find people talking about your competitors. If they are complaining about a competitor this is a great opportunity to mention your site/product and get a link. If they are asking a question about which competing product is best, you can jump in the conversation and mention the details that make your product or site unique. You can use the Google search query below to find opportunities. Most forums have strict rules about what you can post and where. You may not be able to include a link to your site until you’ve made a certain number of posts, and you may not be allowed to promote your site except in specific places. Many forums include an introduction area where you can post some information about yourself as an introduction to other users. At some forums this presents an opportunity to link to your site in your intro. Question and Answer sites are pretty similar to forums, and they offer similar opportunities. You can answer questions by other users and occasionally include a link to your site when appropriate. Some of the most popular Q&A sites include Yahoo Answers, Quora, Answers.com, Stack Exchange, Amazon’s Askville, and AnswerBag. Blog commenting is an old strategy for building traffic, but it can still be effective. The links aren’t going to do much, if anything, for your search rankings, but you can get click through traffic from your comments. I don’t recommend including a link in your comment body, this can be spammy, just rely on the link that is attached to your name. There are really 3 main keys to getting click through traffic from your comments: 1) your comments must be valuable and stand out from boring and generic comments, 2) you need to comment on blogs that get a decent amount of traffic, and 3) your comment needs to be one of the first few listed, not buried after 50 other comments. To be at the top you can be one of the first ones to comment, or if the blog uses threaded comments you can reply to one of the first comments. CommentLuv is a popular plugin that adds a link to a recent post of anyone leaving a comment. So when you comment on blogs that use CommentLuv you can easily get a link to a recent post that will be displayed with your content. While these may not be the highest quality links, they can still drive some click through traffic. You can find a list of CommentLuv blogs here. You don’t want to do mass directory submission because it is mostly a waste of time. But getting some links from the right directories can still help to grow your traffic. DMOZ is very difficult to get listed in these days, but there are other opportunities as well. Many of the leading directories will charge a review fee, but some are free. There are too many to list here, so see this link for regular directories, this link for free high PR directories, and this link for the best directories for 2013 and 2014. Aside from general directories, niche directories also provide some excellent opportunities. Directories exist in just about every industry and niche, you just need to find them. Do a Google search for directories with your main keywords and you should find some. Directories like Technorati, Alltop, Blogorama, and Bloggeries are directories specifically for blogs. In order to have the best chance of getting your blog accepted I would recommend waiting until you have a few months worth of content before submitting. If a reviewer sees a blog with just a few posts it will be less likely to be included. You can find a bigger list of blog directories here. Very similar to blog directories, there are also directories that list RSS feeds. If you have a blog with an RSS feed, which you will have by default if you use WordPress, you can submit your site for inclusion. You can find a big list of RSS directories here. With business directories like Manta and Hot Frog you can get a listing and a link to your site. You can find a big list of business directories here. Aside from the major business directories, there may be directories that exist specifically to list businesses in your local area. You can do a Google search to look for “your city business directory”, “your county business directory”, or “your state business directory” to find some opportunities (search without the quotes). If you’re a member of your local chamber of commerce you can also probably get a link from their member directory. You can also use free resources and downloads to attract links. This is a common approach in certain industries but can be applied in just about any industry with the help of some creativity. If you offer a free e-book you may be able to get some valuable links from other sites to help people find your free e-book. In many industries and niches there are loads of free e-books, so yours will need to stand out in some way in order to get attention. You can also submit your e-book to directories. This forum thread includes a big list of e-book directories. Free website templates and WordPress themes are extremely popular for building links. If you’re a designer/developer this could be an option for you, and if not, you can hire someone at a site like Elance or oDesk to create the templates for you. Some designers/developers include links to their site in the footer in order to build links from people using the template, but my recommendation is to create a quality template and use it to attract links from other websites and blogs. There are tons of pages and blog posts that link out to the best free templates of different kinds, and getting links from these types of pages and posts will likely send more traffic than footer links in the template. If you’re a designer you could also create icons that bloggers can use, Photoshop files for user interface elements, Photoshop brushes, vectors, etc. If you’re not a designer, you could also hire someone to create these items for you. Offering plugins, widgets, and software for free can also help you to attract a lot of links. If you get a WordPress plugin listed in the official directory at WordPress.org you can get a high-quality link. You can also get links from a lot of other sites if you’re offering something of quality for free. Not a developer? Guess what… you can hire someone for this too. Offering free resources from your own site is a great way to attract links from other sites, but another approach is to offer a free resource to a major site or blog in your industry. As an example, Smashing Magazine, a hugely-popular web design blog, released this free icon set. The designer of the icons got a link from an extremely popular site, and no doubt a considerable amount of click through traffic and exposure.